In six months of living in Brisbane I got used to the fact it is beautifully surrounded by nature. Still, finding out there's a rainforest only one hour's drive from the city was a great surprise for me. Mount Tamborine, 2190 metres high, can offer you hours and hours of fun out of nature. "Tamborine" which is "wild lime" in the local Yugamba language, refers to the finger lime trees that grow wild on the mountain. 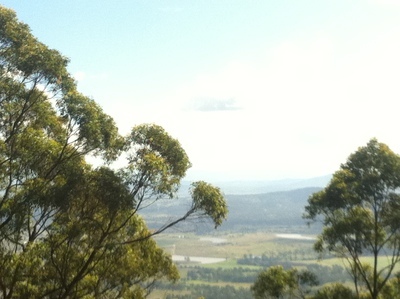 The way from Brisbane to Mount Tamborine is very beautiful. You can include this trip on your way to or from the Gold Coast. There are countless options for short and long hikes on Mount Tamborine. You can go to the information centre on the mountain, which is really friendly and efficient, and get a map and explanations about the options. 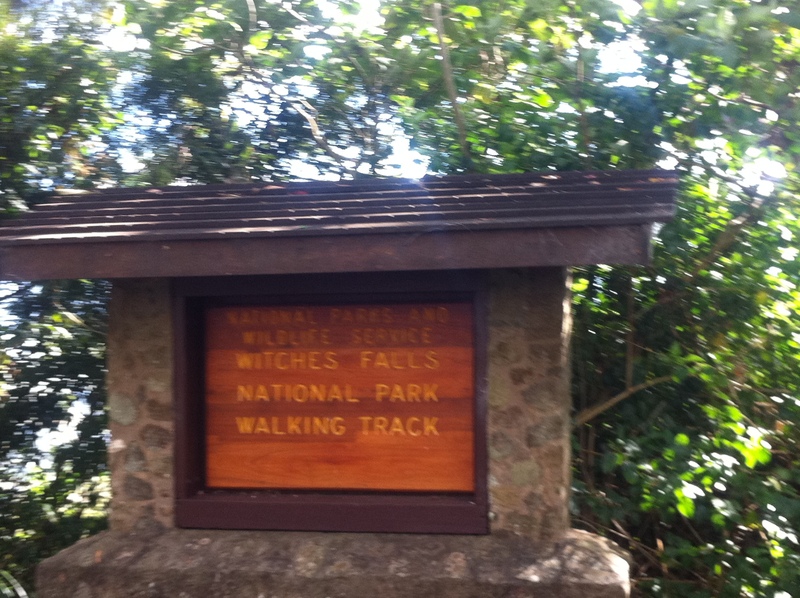 Witches Falls National Park is in a really amazing rainforest. 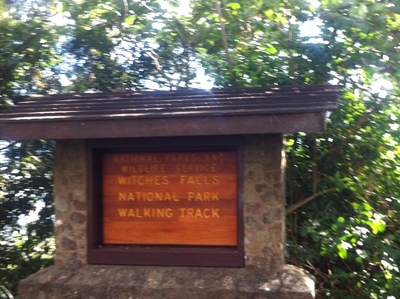 You can choose between Witches Falls circuit, a short trail of about one hour long, or Witches Chase Track, a longer trail which will take about 2 hours to walk. The landscape is unique. It's a rainforest so you'll see all kinds of trees, including eucalyptus and bamboo trees, and it's also covered with basalt lava flows which are the remains of ancient times (20-30 million years ago) when an amazingly huge volcano erupted. The path is mostly shady and easy. The views are spectacular. Note that the water on the mountain is not drinkable so you'll need either to bring your own or buy at one of the shops there. You can also visit the beautiful and big local market (open every second Sunday of each month) that can offer you whatever you wish from vegetables and fruit, through to kitchenware, great (both in taste and size) Bavarian sausages and spice plants. You can spend one or even two hours just in the market, enjoying the relaxed and happy atmosphere.